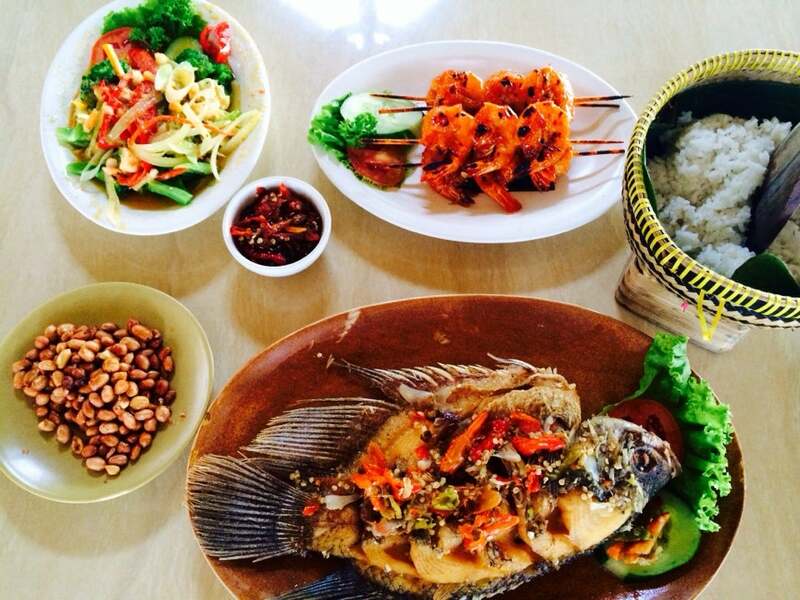 Bale Udang Mang Engking Bali offers the authentic experience of eating on the water. It is not only restaurant, but also a convenient recreational place with complete facilities. Why Bale Udang Mang Engking Bali (Ubud) is special ? Bale Udang Mang Engking Bali, since being established in Bali on 2009 and managed by Avilla Hospitality, is well known for successfully bring rural feeling in the middle of hustle and bustle in Denpasar and Kuta. 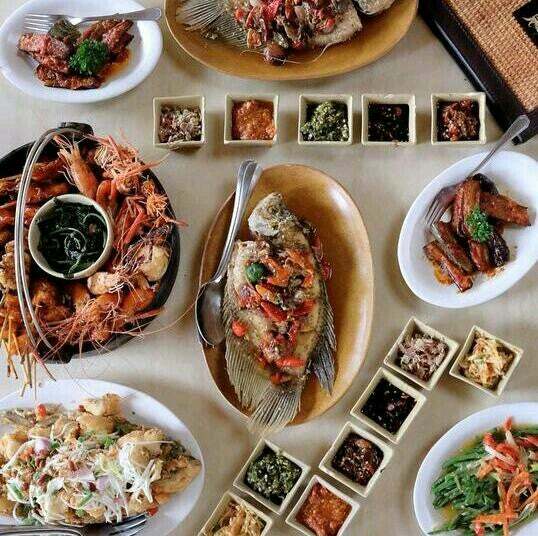 Bale Udang is Indonesian restaurant with Balinese experience that brings exciting dining experience on bale while enjoying fresh prawn dishes. Surrounded by a vast fish pond with the sound of splashing water and accompanied by instrumental music, Bale Udang has managed to bring the feel of calm and soothing. With fresh feedstock, Bale Udang provides high quality food for costumers. The staffs are ready to serve sincerely because customers’ satisfaction is their main goal. How to get to Bale Udang Mang Engking Bali (Ubud)? Bale Udang – Ubud is located on Jl. Raya Goa Gajah, about 4km southeast of the Ubud Palace. Take a taxi to get there. With Bale Udang’s specialization in prawn processing, the prawn dishes are the menus you should try and not to miss out. No need to worry for family with children because they also provide kids playground. For those who want to hold meeting or informal gathering in Bale Udang Mang Engking, they also provide meeting room with large parking area. You can buy the bags of fish food - it adds to the fun for your kids. You should go in time to watch the sun go down, and don't forget your camera. Atmosphere is very good, especially for dinner. The food is also delicious. Ayam bakar bale udang is recommended. Plus, the staffs are very friendly. Bale Udang, especially in Ubud Area, is the best place to spend time with family. The view of green paddy field is beautiful, and also the ambience of Bale Udang with saung on the full-of-fishes pool is very unforgettable for me and my family. The staffs are excellent, very helpful, they bring umbrella when it's raining when we came there. And also the food, is very goooood! My family can't stop to say that it was the delicious and fresh seafood that that ever eat. Will come back if we visit Ubud and Bali soon! Recommended for family!